Pillows are kind of a thing of luxury when you’re out in the wilderness. Why pack extra weight when you can just stuff some clothes into a stuff sack or your down jacket into its hood and call it a night? With the Pillow Plus, you can call those uncomfortable nights a thing of the past. Made out of thick plastic and covered in a polyester-spandex material, the Pillow Plus weighs about 4 oz and packs down to about 6″ x 4”. To inflate the pillow, you bite down on the valve and blow; it’s pretty simple, as long as you remember to bite. Otherwise, you’ll be huffing and puffing for nothing. You also need to make sure you’re inflating the Pillow Plus inside the cover. It’s near impossible to get the cover over the fully blown up plastic. Inflated, the Pillow Plus dimensions are about 18” x 10”, large enough for even the biggest of heads. The stretchy fabric comes with a strap that you can use to clip to your sleeping pad, preventing your pillow from sliding around. The nice thing about having an inflating pillow is customizing the pillow to you. It’s as soft or as firm as you like it, which is a huge plus. This also came with a carabiner, presumably to clip it onto your pack or something, but I didn’t find it to be terribly useful. I’m not clipping my clean-ish pillow on the outside of my pack where it could come in contact with things like poop or poison oak to be transferred to my face. I’d like to see more premium plastic used for the pillow, even if it comes with a higher price. This plastic is the same plastic used for a pool blowup toy, and just as thick. If I was counting ounces, I could have probably cut it down from 4 oz to maybe 2 with a thinner, more pliable plastic. All in all for $14.99, this is a pretty solid investment for some extra z’s in the backcountry or while traveling. 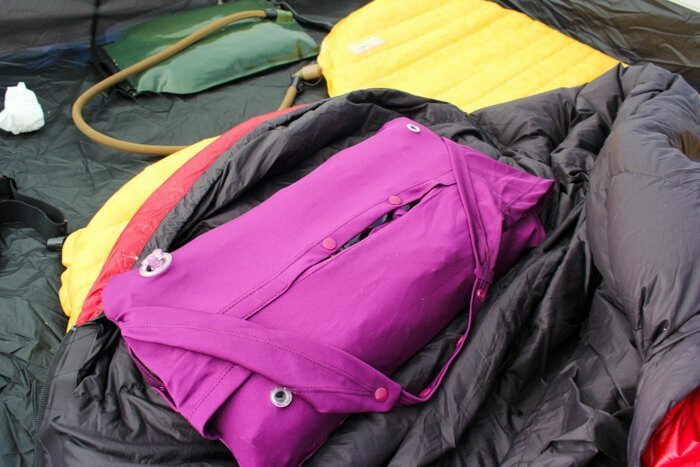 Compact, and lightweight, you won’t have a crick in your neck from sleeping on a balled up fleece again. This was provided to me for review as a part of the #HellHikeAndRaft trip. Very cool and affordable. 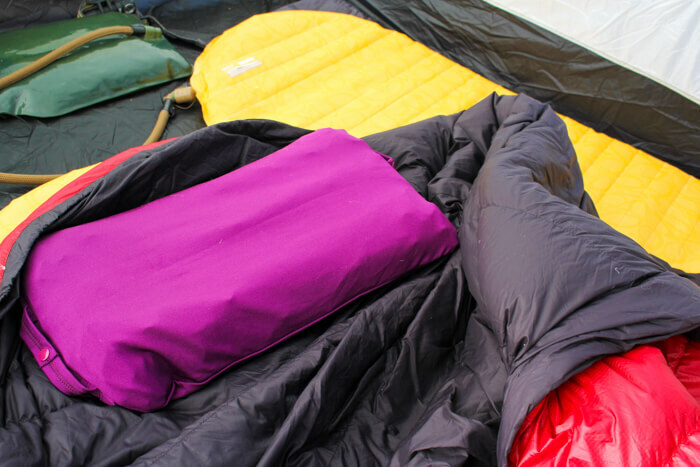 Pillows are on our dream gear list. Will check these out.